Marunouchi (丸の内) is the area between Tokyo Station and the Imperial Palace. It was used to be a part of Edo Castle. Today, it is one of the major business district in Tokyo and center of economic and financial industry in Japan. Because many people work at this area, there are lots of restaurants and bars from reasonable price to high-class. Maru-Buildings and Marunouchi Main Avenue are the shopping district with lots of fashion shops. There is free shuttle bus travels this area. 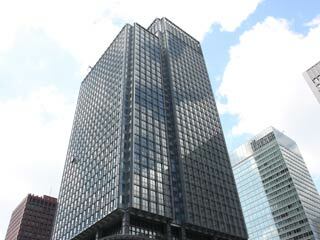 Marunouchi was used to be a part of Tokyo Bay before Tokugawa Ieyasu came to Edo. He redeemed this area and, in 1592, by the expansion of Edo Castle, this part became a part of Edo Castle. Because it became inside of bailey, it called Okuruwa uchi, means inside of bailey, and the name changed eventually to Marunouchi. There are 24 Daimyo's houses, and government offices are located in this area. Today, it is one of the major business district in Japan. When you see the business district in Tokyo on TV news, most of times, it's Marunouchi. Because Tokyo Station is also located in this area, it is very populated are in daytimes. Therefore, there are all kinds of restaurants, bars, cafes, and shops. ... are the face of Marunouchi. They are twin towers located right in front of Tokyo Station. It appears just like the huge gate to the Imperial Palace. Lower levels of them are huge shopping mall.